New Years resolutions aren’t really my thing. Most people say things like “work out more” and “quit smoking”. I need definite plans of action! That’s why I’m more interested in flow charts. 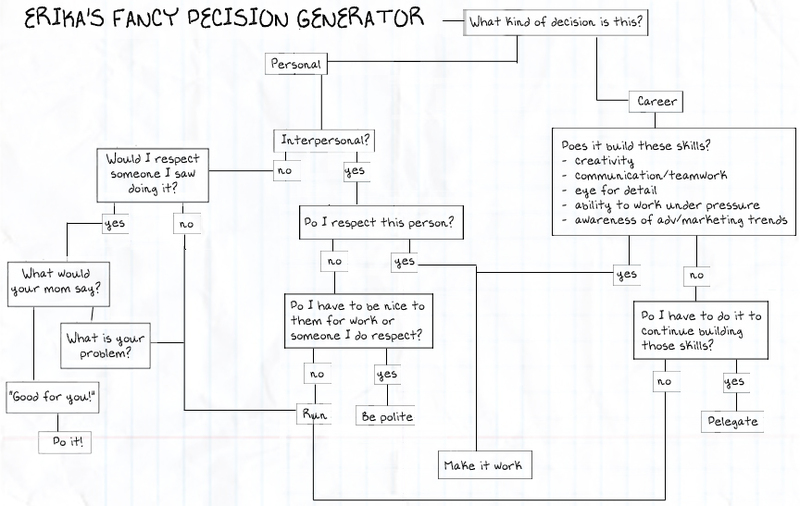 Here’s my New Years Flow Chart, AKA Erika’s Fancy Decision Generator!